When you teach in a self-contained classroom, you have a huge array of student ability levels and disabilities. This makes lesson planning for 4-5- even 6 different reading groups with varying strengths and weaknesses a little more challenging. It’s not impossible, and it makes you a better teacher, but it is still challenging. So today I am going to share my Guided Reading rotation schedule, along with all of the tips and tricks I have learned and implemented in my own classroom. If you’d like to watch the video version, you can join the VIP Facebook Group and watch the replay here. First things first, I want to share a list of the resources I use, as well as the supplies I use for prepping. That way you can check it off of your list before getting started. *I am not affiliated with or receiving compensation from Reading A-Z for mentioning them, but you will receive $5 off your purchase using my referral code. I truly love their Guided Reading curriculum (it’s saved my teacher life and sanity) and I have paid for it with my own personal money to use in my classrooms. THERE’S ALSO THIS QUICK START BLOG POST. Our class schedule rules the classroom. Unless there is an assembly, field trip, or something else going on, our class schedule never changes. Student individual schedules may change, but our class schedule is our constant. It works for us, and it provides a concrete schedule of events for my students every single day. They can depend on it. With that being said, our Guided Reading block is in the morning. If we don’t finish up during our allotted time, we will fill it in throughout the rest of the school day – mostly during computers/motor lab (where I will pull students 1 at a time to finish work). So how does Guided Reading look in our classroom? Every week is different. It’s variable, and is greatly dependent upon what’s going on that week in terms of special events, holidays, and other stuff. Some weeks I will have whole group guided reading, other weeks we don’t do Reading A-Z, and some weeks we work in center rotations. So keep that in mind throughout this blog post, as you can take my recommendations and make them fit your classroom. 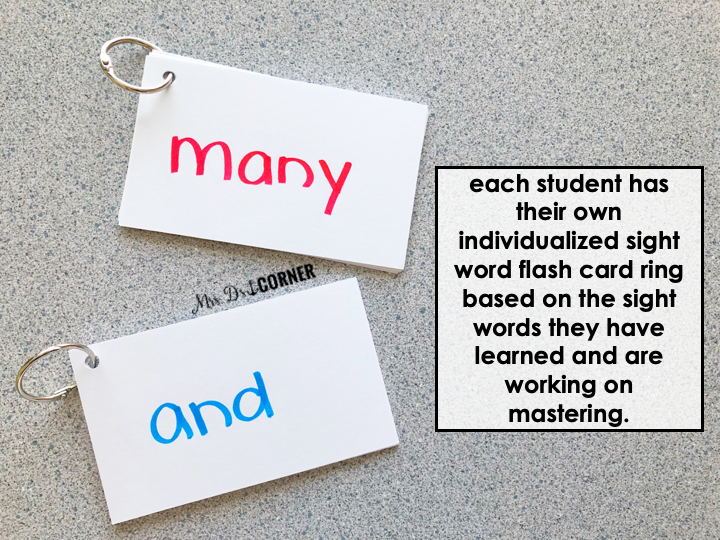 All of my students have IEP goals or school goals to read X amount of sight words each year. Sight words are a big deal in our classroom, so we are constantly working on learning new words. To begin learning a new sight word, we use Sight Word Readers. You can read a more in-depth blog post about them here. On Monday, we start Guided Reading with a Sight Word Reader. We complete the first couple of pages – read the sentence 5x (we use stickers in place of coloring in the star – kids will do almost anything for a sticker! ), trace the sight word, write the sight word. On Tuesday, we will start the activity pages within the Sight Word Book… after we complete the first couple of pages again (by reading). On Wednesday, we will check our work in the Sight Work Book and read the sentences again. 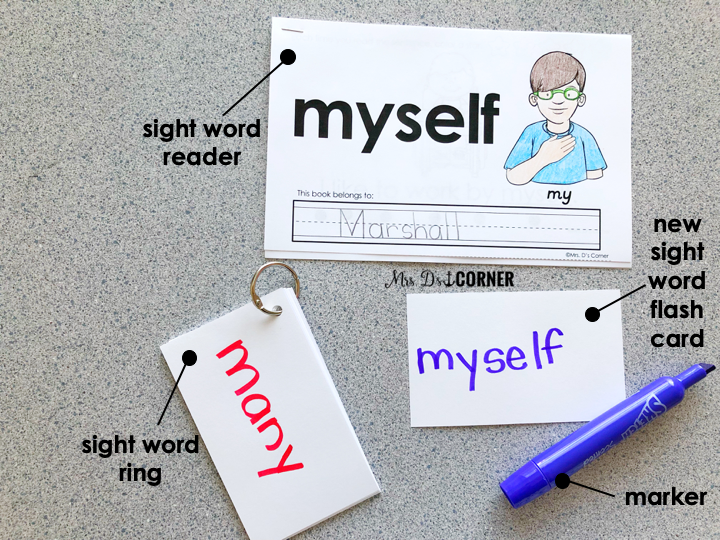 At this time, we make a sight word flash card and add it to our sight word rings. Spoiler alert (HA! ), this is not a Pinterest perfect idea or Instagram worthy, but it works… and it’s cheap and simple to keep track of. All we do is use regular notecard (no lines) and a marker. Sometimes I will write the word on the notecard, other times I will have students write the sight word on the card. Add a hole punch in the top corner. Then we add it to that student’s sight word ring. BAM! Instant flash cards. Now collecting data on sight words is even better and easier. On the back of the sight word card is blank space. So in the top corner, I put the date that we added that word to the child’s sight word ring. Underneath that is where we collect data on student trials using a simple +/- system. A + means the student read the word correctly. A – means the student read the word incorrectly. Then at the end of the trials ++-+– we will put the date of the trial. SO SIMPLE and easy. You can do it, and so can your paras. 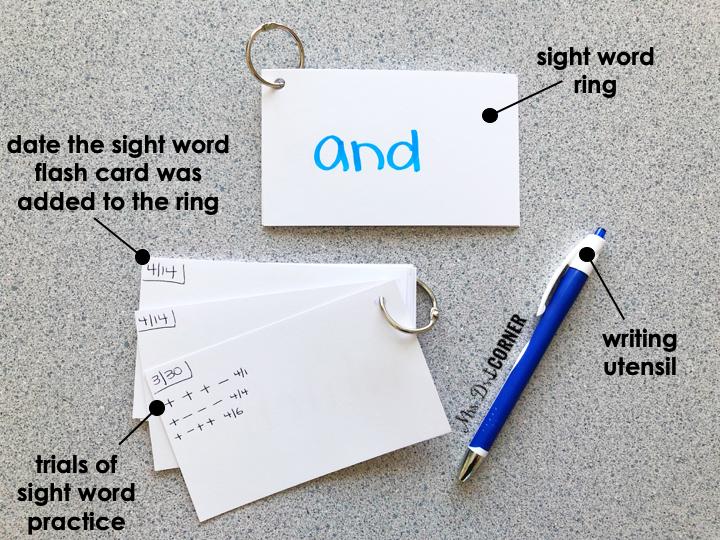 So if we’re working in center rotations, sight word flash cards can be a para-taught lesson… with data collection! In addition to working on sight words, all of my students are working on sentences in one form or another. Whether it’s grammar and punctuation, spelling, putting words together to form a sentence… we are working with sentences. That’s where Sentence Builders come in. Sentence Builders contain 3 levels of sentences, and differentiation within each level. 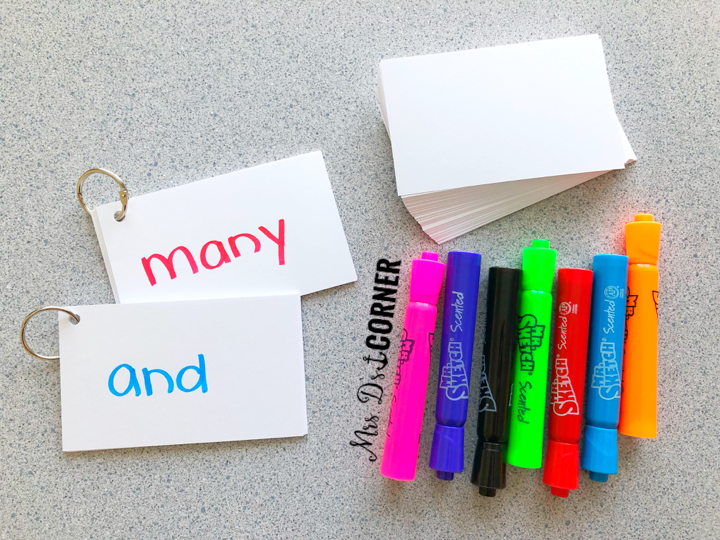 My students can all work on the same sentence topics, but with shorter or longer sentences (to fit their needs). 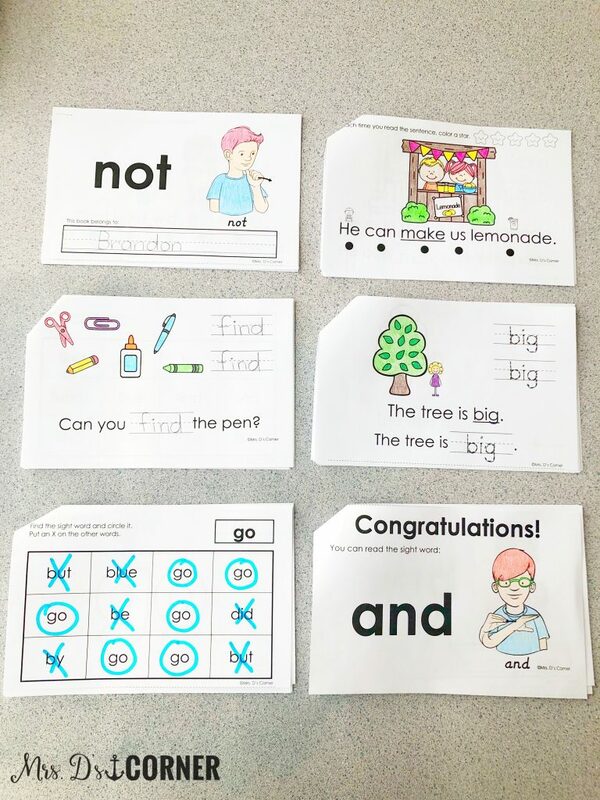 Each week’s format is the same, so after a few weeks of using these – paras can run this center for me or students can complete the activity independently. 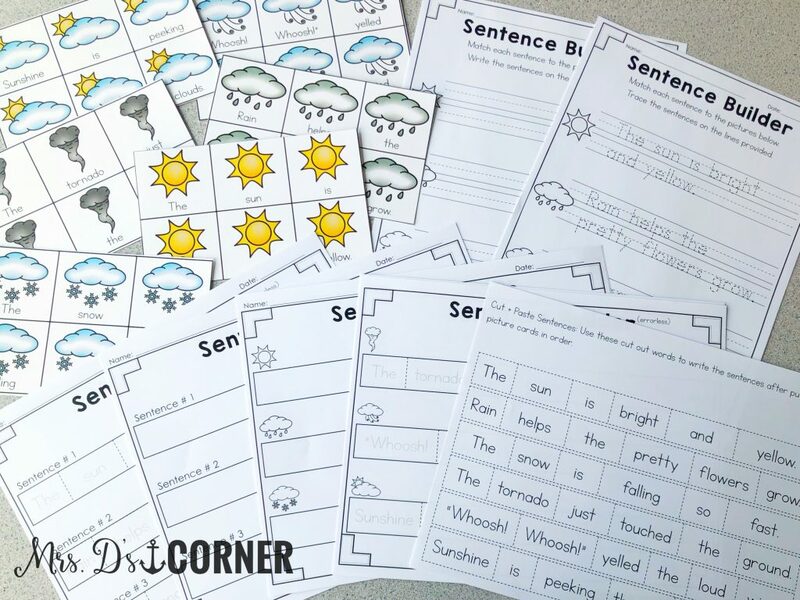 Read more about Sentence Builder in this blog post here. I love Reading A-Z. Love is actually and understatement. I learned about the curriculum in my first year of teaching (I co-taught middle school math), and have never looked back. Disclaimer: RAZ is a paid subscription. It is $109.95 per school year (save $5 by using my referral code here), per class of 36 students, BUT ask your school if they have a subscription before you buy it for yourself. Also, don’t forget about Donor’s Choose, Pledgecents, GoFundMe, and ask your school’s PTO and parents for donations to help you purchase it. Use the resources available to you to get this curriculum for your kids. I have always purchased it myself because it’s THAT big of a deal to me, and that much of a teacher life saver and human-sanity saver. Keep reading so I can show you why. How do I choose the books for my students? During student teaching, one of my mentor teachers taught me the most valuable lesson… start planning with your lowest level group. Then add more to those lesson plans for your higher level groups. That being said, I always start looking at the books for my lower level GR group first. I have no set way to choose books, and I don’t keep track on a spreadsheet (1. too much paper, 2. I remember in my mind). BUT if there is a holiday for the week I am planning, a special occasion, or any of that, I use that theme. For example, let’s say it’s the second week of April. Spring has already come, so we’ve read books on the Spring season. I scroll through the RAZ catalog and boom… gardening and vegetables. That topic is perfect for this time of year. So I go through the levels of my Guided Reading groups, and choose a book that is about gardening and/or vegetables. One of the best parts of using RAZ is that they provide you with the entire Guided Reading lesson plan for the book you print. Plus accompanying worksheets, comprehension tests and so much more. Everything you need is there! INSIDER TIP • I only ever print the single sided books, never the double sided books. Do you follow the RAZ Guided Reading lesson plan explicitly? Nope. I pick and choose, as with everything else, based on what will work with my students. 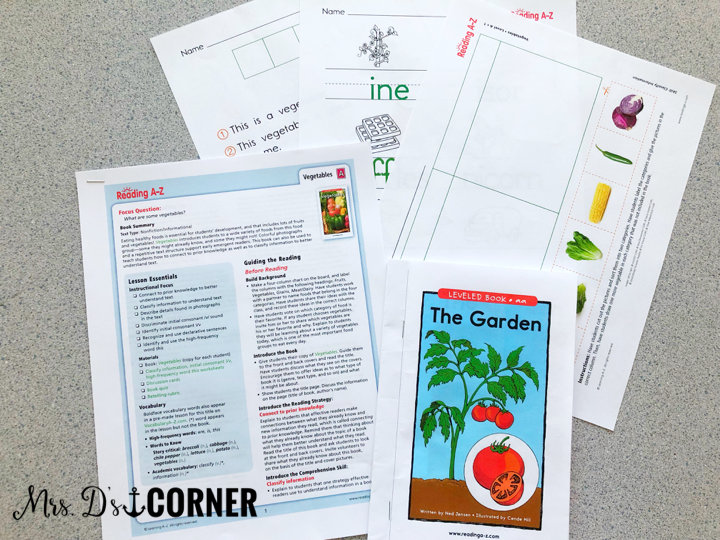 But I do use the lesson plans as a guideline as to grammar topics to include this week, sight words to focus on, other topics to integrate (vegetables and gardening is a great cross-curricular topic for science! ), etc. Because I don’t follow the RAZ GR lesson plan explicitly, I supplement the books with other books. More books actually. Adapted Books. Let’s use the same example… this week we’re going to be reading about vegetables and gardening. So I am going to choose the book on eating healthy and the food pyramid. Now the topic is cross-curricular with science. 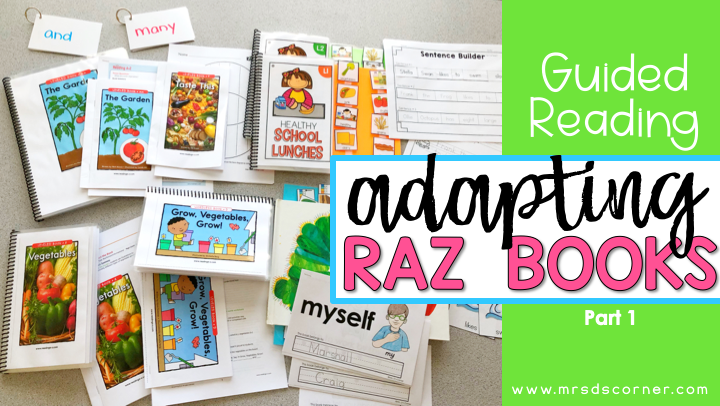 Same as with the adapted books, I supplement the RAZ materials with Adapted Piece Book Sets… which are books that my students already love, but with a twist. You can read all about adapted piece book sets in this blog post. Same example… this week we’re going to be reading about vegetables and gardening. 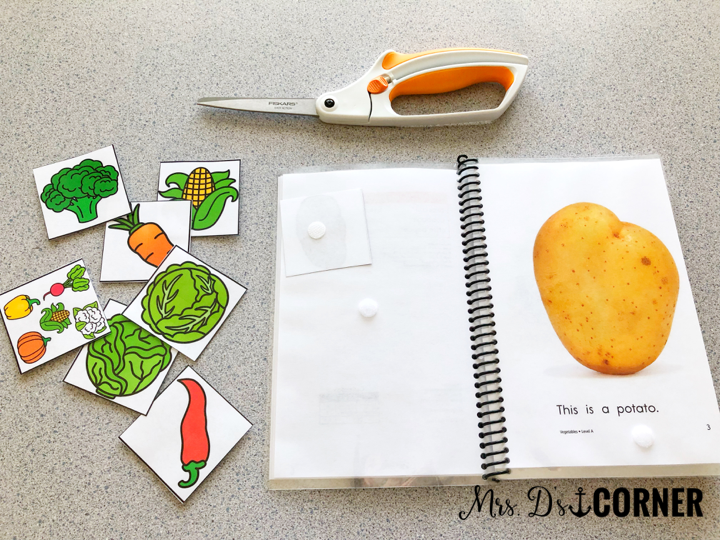 I’ve chosen the adapted book about eating healthy, but I want a fun interactive book that my students already love to continue the conversation. So I am going to choose the Hungry Hungry Caterpillar APBS. 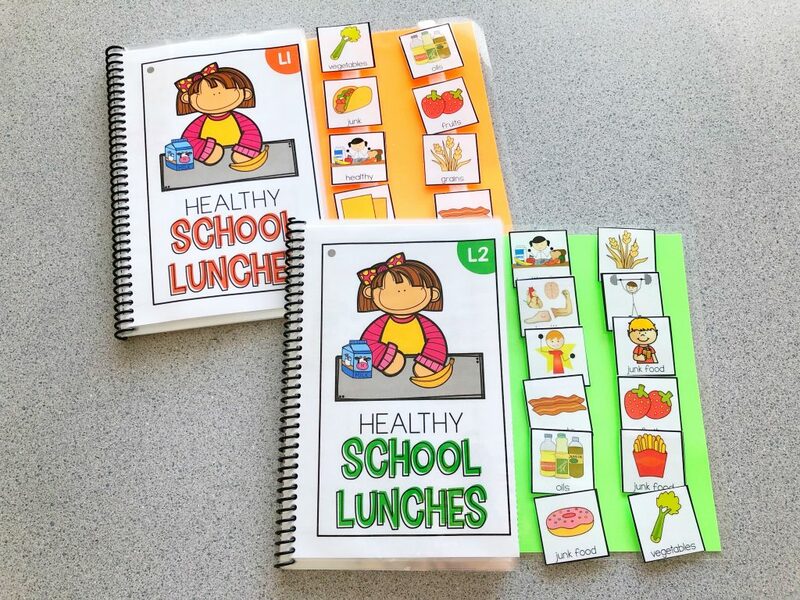 Not only are we cross-curricular talking about healthy eating, but we can use this book to talk about life cycles… and maybe next week we will learn more about life cycles with our RAZ books. Do you see how they all connect with one another? 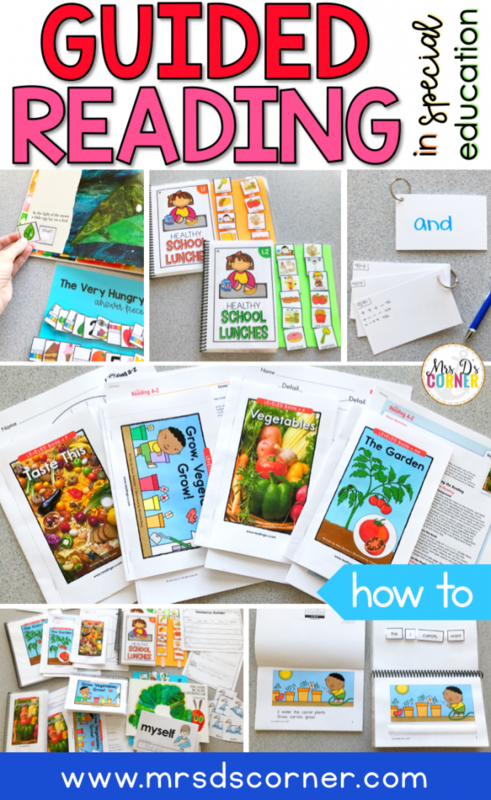 To see more about how to actually adapt the Reading A-Z books, you’ll want to check out Part 2 of this blog post series. How long does it take you to prep all of this stuff? Typically it will take me one planning period (45 minutes) to determine what books we are reading next week and get all of the materials printed off of RAZ. 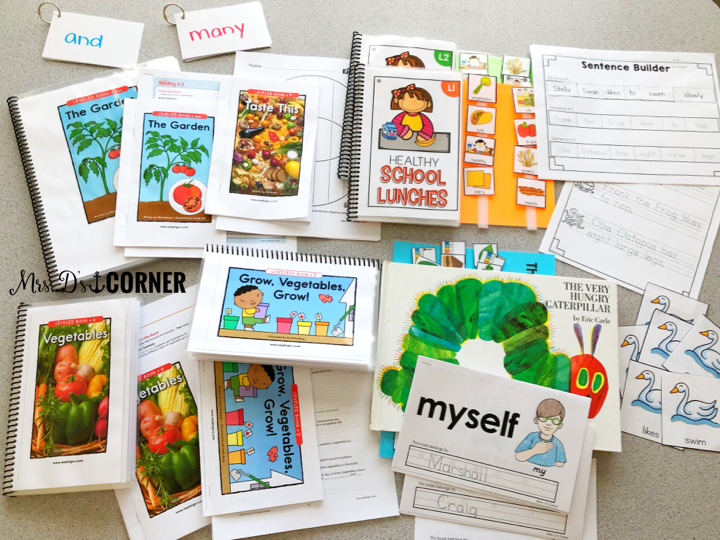 During this one planning period, I’m also choosing additional adapted books and/or adapted piece book sets, printing off sight word books and getting the sentence builders printed too. During the next planning period, I will laminate and get everything hooked and loop (i.e., velcro-ed). That is, if I don’t have a para free to laminate for me during the week sometime. I like to print everything at once, laminate everything at once, and velcro everything at once. This is a system that works for me and my paras. Again, you do what works best for your classroom. I’d also like to add that all of my adapted books and adapted piece book sets are pre-prepped. That is, we prep them once and reuse them every year. It’s a once and done kind of deal, and it really helps with prep time on the back end. How do you store all of these materials? In plastic bins from Walmart or Target. Nothing special and no fancy labeling system either. 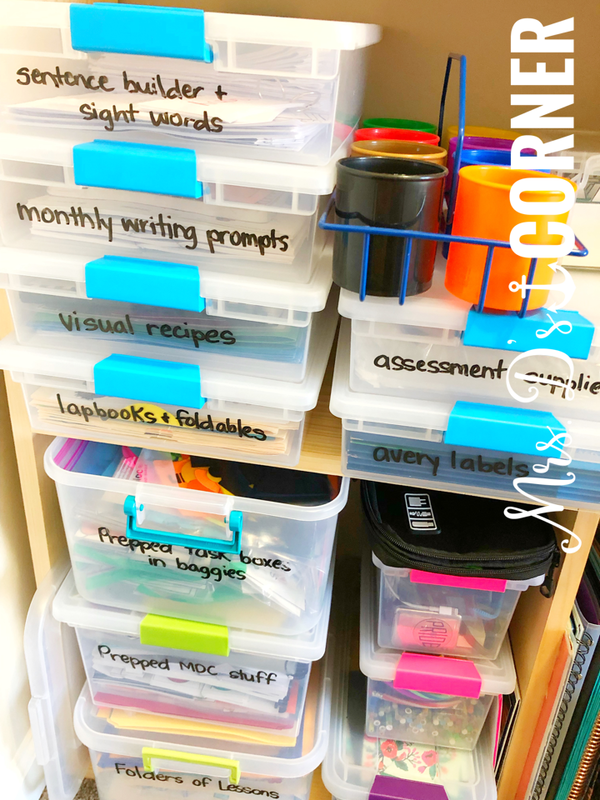 I use dry erase markers on the outsides of the bins to label them by month or topic, that way it stays but can easily be wiped off and used for something else if needed. Guided Reading doesn’t need to take hours of planning and prepping. 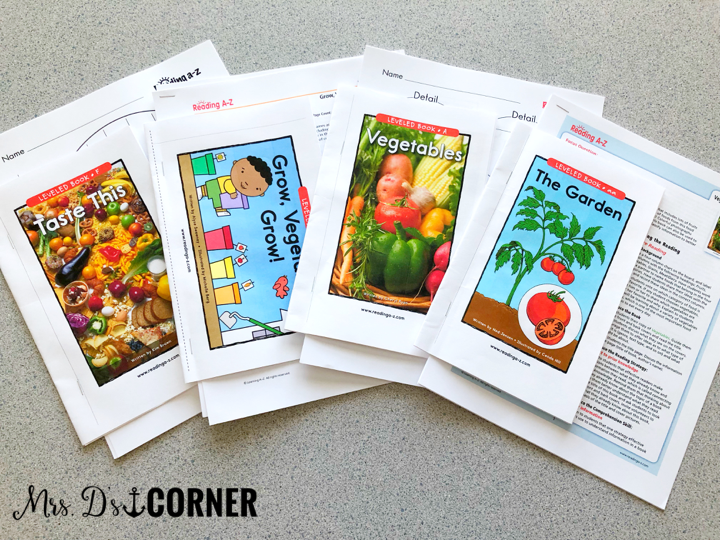 With the right schedule and the right materials, your Guided Reading time can be effortlessly planning and prepped for each week, knowing your students are receiving A+ instruction. Don’t forget to check out Part 2 to see how I adapt the Reading A-Z books to better benefit my students’ learning. What other questions can I answer for you? Let me know in the comments below!